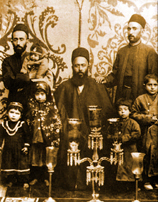 The family Oriental rug business originated in the early 1900s in Iran under Mirza Kalaty’s grandfather, and in 1979 Mirza Kalaty founded the company in the USA. Today, Mirza along with his five sons, Ramin, Mike, Farshad, Ariel and Kamran now run the company, and thus an impressive four generations of experience has gone into building the company. Kalaty Rug Corporation continues to progress through new designs, innovative coloring and finishing, as well as through its continuing commitment to provide customers with excellent handcrafted products and unparalleled service. Kalaty operates showrooms in New York, Atlanta, High Point and Las Vegas. 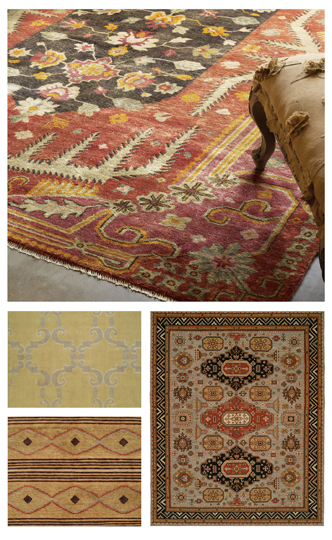 We invite you to search through our vast rug collections and DISCOVER THE KALATY DIFFERENCE!